Overspending isn’t why Americans are in debt. An excerpt from Elizabeth Warren’s The Two-Income Trap explains why. Do Americans Spend Too Much on Luxuries? Nope. Why are we so ready to believe in the myth of overconsumption? Excerpted from The Two-Income Trap by Amelia Warren Tyagi and Elizabeth Warren. Published by Basic Books. This article supplements Episode 1 of United States of Debt, our third Slate Academy. Please join Slate’s Helaine Olen as she explores the reality of owing money in America. To learn more and listen to episodes, visit slate.com/Debt. During the past generation, a great myth has swept through America. Like all good myths, the Overconsumption Myth tells a tale to explain a confusing world. Why are so many Americans in financial trouble? Why are credit card debts up and savings down? Why are millions of mothers heading into the labor force and working overtime? The myth is so deeply embedded in our collective understanding that it resists even elementary questioning: Families have spent too much money buying things they don’t need. 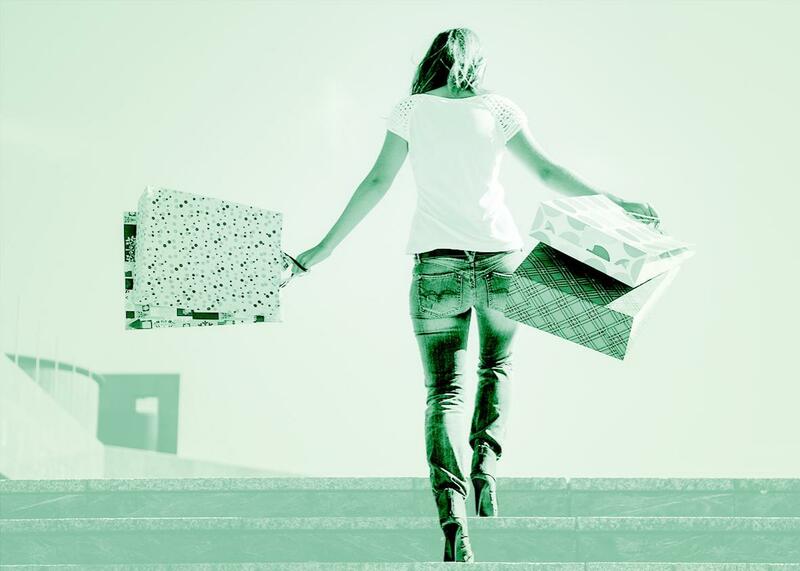 Americans have a new character flaw—“the urge to splurge”—and it is driving them to spend, spend, spend like never before. Many maladies are explained away by the Overconsumption Myth. Why are Americans in debt? Sociologist Robert Frank claims that America’s newfound “Luxury Fever” forces middle-class families “to finance their consumption increases largely by reduced savings and increased debt.” Why are schools failing and streets unsafe? Juliet Schor cites “competitive spending” as a major contributor to “the deterioration of public goods” such as “education, social services, public safety, recreation, and culture.” Why are Americans unhappy? Affluenza sums it up: “The dogged pursuit for more” accounts for Americans’ “overload, debt, anxiety, and waste.” Everywhere we turn, it seems that overconsumption is tearing at the very fabric of society. The Overconsumption Myth rests on the premise that families spend their money on things they don’t really need. Overconsumption is not about medical care or basic housing; it is, in the words of Juliet Schor, about “designer clothes, a microwave, restaurant meals, home and automobile air conditioning, and, of course, Michael Jordan’s ubiquitous athletic shoes, about which children and adults both display near-obsession.” And it isn’t about buying a few goodies with extra income; it is about going deep into debt to finance consumer purchases that sensible people could do without. The beauty of the Overconsumption Myth is that it squares neatly with our own intuitions. We see the malls packed with shoppers. We receive catalogs filled with outrageously expensive gadgets. We think of that overpriced summer dress that hangs in the back of the closet or those power tools gathering dust in the garage. The conclusion seems indisputable: The “urge to splurge” is driving folks into economic ruin. But is it true? If families really are blowing their paychecks on designer clothes and restaurant meals, then the expenditure data should show that today’s families are spending more on these frivolous items than ever before. (Throughout our discussion, in this chapter and elsewhere, all figures will be adjusted for the effects of inflation.) But we found that the numbers pointed in a very different direction. Consider clothing. Newsweek, back in 2001, ran a multipage cover story about Americans drowning in debt. The reason for widespread financial distress and high bankruptcy rates? “Frivolous shopping is part of the problem: many debtors blame their woes squarely on Tommy, Ralph, Gucci, and Prada.” That certainly sounds reasonable. After all, Banana Republic is so crowded with shoppers we can barely find an empty fitting room, Adidas and Nike clad the feet of every teenager we meet, and designer shops rake in profits selling nothing but underwear or sunglasses. Even little children’s clothes now carry hip brand names, and babies sport “Gap” or “YSL” on their T-shirts and sleepers. And yet, when it is all added up, including the Tommy sweatshirts and Ray-Ban sunglasses, the average family of four today spends 21 percent less (inflation adjusted) on clothing than a similar family did in the early 1970s. How can this be? What the fingerwaggers have forgotten are the things families don’t spend money on anymore. I (Elizabeth) recall the days of rushing off to Stride Rite to buy two new pairs of sensible leather shoes for each of my children every three months (one for church and one for everyday) plus a pair of sneakers for play. Today, Amelia’s toddler owns nothing but a pair of $5 sandals from Wal-Mart. Suits, ties, and pantyhose have been replaced by cotton trousers and knit tops, as “business casual” has swept the nation. New fabrics, new technology, and cheap labor have lowered prices. And discounters like Target and Marshall’s have popped up across the country, providing reasonable, low-cost clothes for today’s families. The differences add up. In 1973, Sunday dresses, wool jackets, and the other clothes for a family of four claimed nearly $750 more a year from the family budget than all the name-brand sneakers and hip T-shirts today’s families are buying. That is not to say that middle-class families never fritter away any money. A generation ago, no one had cable, big-screen televisions were a novelty reserved for the very rich, and DVD and TiVo were meaningless strings of letters. So how much more do families spend on “home entertainment,” premium channels included? They spend 23 percent more—a whopping extra $170 annually. Computers add another $300 to the annual family budget. But even that increase looks a little different in the context of other spending. The extra money spent on cable, electronics, and computers is more than offset by families’ savings on major appliances and household furnishings. The same balancing act holds true in other areas. The average family spends more on airline travel than it did a generation ago, but it spends less on dry cleaning. More on telephone services, but less on tobacco. More on pets, but less on carpets. And, when we add it all up, increases in one category are offset by decreases in another. In other words, there seems to be about as much frivolous spending today as there was a generation ago. Adapted excerpt from The Two-Income Trap: Why Middle Class Americans Are (Still) Going Broke by Elizabeth Warren and Amelia Tyagi. Copyright 2016. Available from Basic Books, an imprint of Perseus Books, a division of PBG Publishing, LLC, a subsidiary of Hachette Book Group Inc. Reality is not nearly so neat. Sure, there are some families who buy too much stuff, but there is no evidence of any “epidemic” in overspending—certainly nothing that could explain a 255 percent increase in the foreclosure rate, a 430 percent increase in the bankruptcy rolls, and a 570 percent increase in credit card debt. A growing number of families are in terrible financial trouble, but no matter how many times the accusation is hurled, Prada and HBO are not the reason.